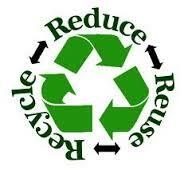 REDUCE, REUSE and RECYCLE (The 3R’s) are at the heart of the ‘Go Green’ global movement. All of us, whether a public organisation, private enterprise or individuals, we need to manage resources more sustainably. The world’s resources are not infinite. It is worrisome and scary to note that people in 2050 will only have 25% of the resources per capita that people in 1950 had! Therefore, the only way we can support future populations is by using our resources more efficiently TODAY. My Professor Friend invited me for a party hosted by “the 3R people” last weekend. “Come and meet some of the spirited folks whom you haven’t yet met and who genuinely care for this Planet. These are the People who not just believe in sustainability but put sustainability in practice”. While saying this he had a smirk on his face (at least that’s what I thought) as he knew that I only preached and never practiced sustainability. Luckily, I knew that I was not the only one – and there were millions like me. The venue of the party was non-descript and the food served was frugal. But there was no coherence in the food menu – as it had some elements of Punjabi, some shades of South Indian and some Maharashtrian items. Later I was told that for all 3R parties, food is sourced from an NGO who collects all the excess food from the wedding halls in Mumbai. I thought that this was a great concept and I wish this idea is adopted by CIIs and FICCIs and the like who specialize in holding meetings, seminars and workshops where the main plenaries are often the “gala” lunches and dinners. Technical sessions are generally given less priority. When we entered the venue, we were greeted and taken to a registration desk. There were three types of Tee shirts offered to each delegate. These Tee shirts were all in bright red color with slogans such as REDUCE, REUSE and RECYCLE. Depending on your interest, affinity, conviction or capability, you could pick up any kind of Tee shirt out of the three. I was offered a plain Red Tee shirt with nothing written as the organizers knew that I was a new comer and they knew nothing about me or my expertise. The Tee shirts had one line explanation on each of the “R”s. Tee shirt with REDUCE had a bye line – buy less and use less. REUSE Tee shirt sported text “Use discarded item again” and the RECYCLE Tee shirt had a signature note “Make new products from materials that are discarded”. I liked these simple explanations. I wish this is how we communicated the concept of 3Rs rather than using words that you would generally find in the technical journals that are read only by few. I was curious to see “which R” dominated the party. A quick scan indicated that there were more Tee shirt people with RECYCLE followed by REUSE and relatively few people were sporting the REDUCE Tee shirts. I therefore thought of meeting first some of the REDUCE Tee shirt people. The first person I met with REDUCE Tee shirt was wearing shorts and a half sleeves shirt. When asked, he said that he is telling everybody to wear shorts and half sleeves shirts and not full trousers and full shirts. That was his campaign. 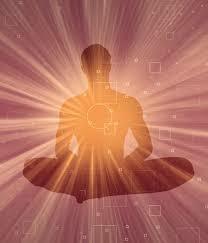 He said that if this practice was followed by everyone then it could mean saving 1 billion meters of cloth each year. Assuming that average 30 % of cotton is used then it would amount saving nearly 4 billion m3 of water each year. He had even more such interesting statistics on savings of earth resources (especially land), reducing waste release (like fertilizers and pesticides) and emissions etc. but thankfully a REDUCE Tee shirt good looking woman standing next to him interjected and said “and not to forget the advantage of shorts and half sleeves shirts – exposing your skin to the sunlight and getting D Vitamin to your body in the natural form. Do you know that in India more than 69% of adults have D Vitamin deficiency”? To impress her I said ” this would mean we won’t need to produce D Vitamin artificially and this will amount to further saving of resources such as water, minerals, protecting biodiversity and reducing emissions”. And the woman was indeed impressed. She said that I made a good point she had missed. “Do you really need this spot light”? A tall man with REDUCE Tee shirt asked me and without waiting for my response dimmed the light. “Do you know if we follow strictly the minimum illumination guidelines (e.g. 500 lumen/m2 for office and 40 lumen/m2 for public areas) , 1 million MW of electricity will be saved each year and so will be a reduction in the coal combusted to greatly reduce GHG emissions. (I was wondering how the Tall man arrived at these estimates – but looking at his face with passion as well as conviction – I did not dare to ask. These are rare skills generally vested with reputed environmental NGOs). I could see in his eyes his dimly lit house, equally dim lane where he lived and the dim headlights of his car that could lead to road accidents. But jokes apart but I thought the Tall man made a sense. We many times celebrate illumination without any reasons. I thought of meeting now some REUSE folks. I saw that most of the REUSE people had assembled together for a kind of ceremony. This was a ceremony where the children “handed over” their used mobile phones to parents. Apparently, this clan of REUSE believed that mobile phones should be reused as much to an extent possible and all within the family. A great concept. Here, the children got first the best smart phone and once the mobile phone was found outdated or if a better phone was available in the market, then the children bought the new phone and passed on the old mobile phone to their parents or the seniors. Parents and the seniors always used the “secondhand phones”. 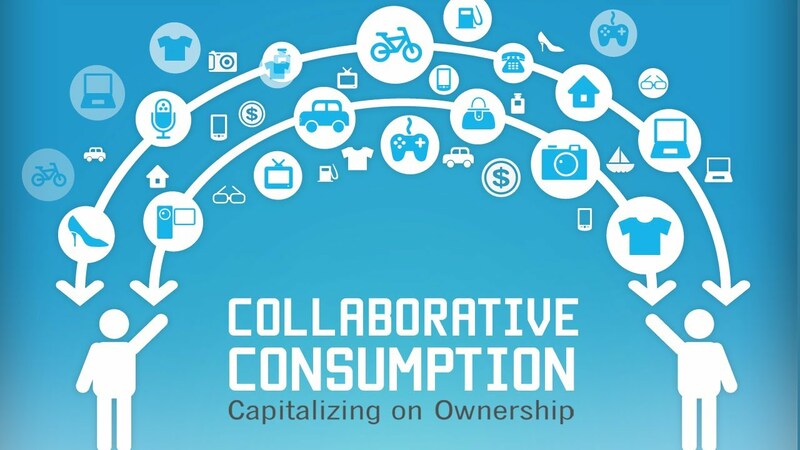 The life cycle of the mobile phone was thus increased leading to saving on the costs and of course reduction in resource consumption and damage to the environment. I was really impressed. One of the REUSE ladies asked me “Do you use plastic or paper or cloth bag?” I said Plastic with an honest and guilty face expecting from her a look of disgust. On the contrary the lady exclaimed “So wise of you. There are only few like you who understand. Plastic bag can be reused many times compared to paper. A cloth bag needs to be washed much more frequently and that leads to more consumption of water and detergents. I just don’t understand the anti-plastic bag campaign”. I was surprised with her analysis. “Time to revisit Life Cycle Analysis of various types of bags” I said to myself. People with RECYCLE Tee shirts were large in number and did not mix much with REDUCE and REUSE Group. In fact, I noticed a kind of animosity in their relationship. Probably recyclers did not want “reduction” on purchases or consumption and “reuse” of used goods and materials to happen in their own interests. The topic of discussion was how to increase or improve recycling. Recycling builds skills on entrepreneurship – said one RECYCLE person from the private sector. Another RECYCLE person from Academia spoke about link between RECYCLING and innovation. A lady with large bindi on the forehead (a typical powerful NGO) said that RECYCLING should involve women and support their livelihoods. All this sounded music to me. 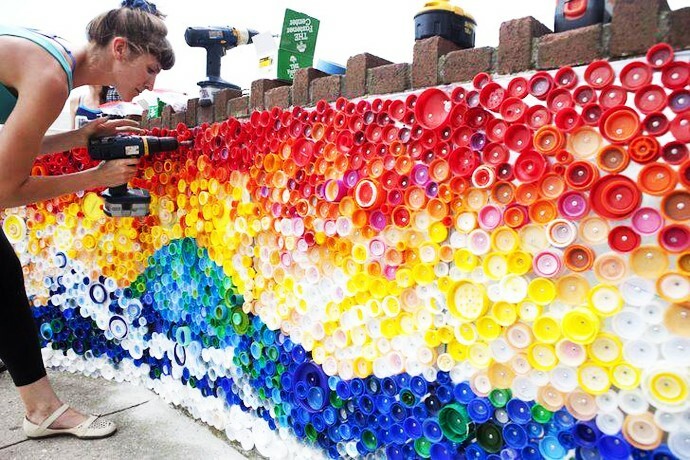 There was a small exhibition in the foyer on recycling of plastic bottles in a creative way. This was really fascinating. One RECYCLE man (short and fat) told me that in the next meeting there will be an exhibition on recycling of aluminum cans. According to him, you could operate a TV set for an estimated three hours with the energy saved by recycling just one aluminum can! He gave me his visiting card that used waste paper (one side had his name printed and the other side it had some “gibberish”) resulting from cutting magazine covers at the Printing Press. What a clever idea I thought. When we finished dinner with such conversations, I thanked the Professor for inviting me to the 3R Peoples Party. Professor asked me to write my impression in the suggestion book that was made out of recycled paper by women who were underprivileged. I wrote “Why have separate Tee shirts for each R? You need integrated thinking. Print all the three Rs on each Tee shirt and the color of the Tee shirt should not be red but green.” The President (who was wearing RECYCLE Tee shirt) wasn’t pleased with suggestion on “integrated approach”. But he liked the idea on the change of color of the Tee shirt. I stepped out of the hall with Professor. The good looking REDUCE lady in shorts and short-sleeve shirt – whom I had met earlier – saw us heading to our respective cars. “Come on friends – how come you are not following the principles of car-pooling to REDUCE the fuel consumption and the per capita emissions” She did not seem pleased with us as we were using separate cars. I readily agreed. Driving car with a good looking lady was bigger collaborative benefit I thought – apart from the environmental benefit of reducing fuel consumption and air emissions. I most respectfully opened the door of the front seat for her to hop in. “Let us also car pool for the next event of the 3R People Party” I said while dropping her at her residence. 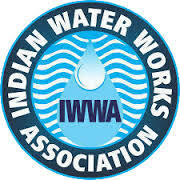 Indian Water Works Association (IWWA) was founded in 1968 by late Mr. D R Bhise, retired Hydraulic Engineer at the Bombay Municipal Corporation (BMC). He was inspired by the American Water Works Association (AWWA) during one of his travels to the United States where he attended the AWWA convention. “Champak” was the headquarters of the JIWWA. The JIWWA Team consisted people like G N Ganla who is today the mover and shaker of IWWA Mumbai Center and CES Rao who is now retired from Hindustan Construction Company. They and some more such folks used to do all the labeling and dispatch of the Journal with “chai” being served by Mrs Bhise. Today Ganla tells me that this was real fun and the great times to remember. I rang the bell and Mr. Bhise opened the door. I introduced myself and told him the purpose of meeting. Mr. Bhise took the copies of the typed manuscript, put on the spectacles and glanced through the pages. I was prepared to answer his questions. I was told that Mr. Bhise is tough to deal with when it came to accepting articles for JIWWA. “You are Madhav’s son – right?” He asked. I nodded. “Now how about some Tea”. The editorial review ended. I presented the paper at the Annual Convention of IWWA in Delhi. That was my first exposure to the IWWA family. I met stalwarts there such as Late L G Dhaigude (whose wrinkles on the face reflected the kilometers of pipelines he laid), Mr. Arvind Doshi of Indian Hume Pipe (who had a face of the “businessman in sophistication”), Late Mr. S P Unwala of Candy Filters (who had a great sense of Parsi humor) and ever lively John D’cruz, Chief Engineer of Delhi Municipal Corporation, who I thought was always ready to dance! I enjoyed the Annual convention, made lots of new acquaintances and learnt a lot from the presentations. I started attending thereon all the IWWA conventions that were held in different parts of the country. In the later phase of my life I was invited to chair the Sessions at the Convention and gave Key Note addresses. It was all an evolution for me. I kind of “graduated”. In 1995, Mr. S. R. Kshirsagar, Head of National Environmental Engineering Research Institute (NEERI) and Hon Editor of the JIWWA invited me on the Editorial Board of JIWWA. I happily accepted this invitation. Indeed, this was an honor to me. After a few years, I was appointed as the Hon Co-Editor and subsequently in 2000, I took over the post of Hon Editor from Mr. S.R. Kshirsagar. That brought me to the Council of Management (COM) of IWWA. Editing the JIWWA was a great experience. We used to print around 30 articles in a year including the Annual Convention issue. We used to receive each year around 200 articles. So there was a considerable “pull” and a “competition”. The accepted articles were queued by a year and I used to be hounded by the Authors and Authors “Godfathers”. I introduced 4 pager pull-outs or inserts in the center section of the Journal on various themes like Private Sector Participation (PSP). These 4 pages were paid pages and so the Journal received some revenue. Revenue came from advertisements. We did our best to “balance” the printing costs with the revenues from advertisements. But this was not easy. There were two challenges – one was to get advertisements and second challenge was to get the invoices paid in time! (The third challenge was perhaps how to “fit” the advertisement in the PageMaker software to minimize the “white spaces” when the Journal text was laid). Printing of the Journal in my time was shifted to “Vijay Mudran” from IPW. Vijay Mudran was a fine Printing Press in the Royal Industrial Estate in Wadala in Mumbai. The Press was run by Mr. Madhav Kanitkar. Kanitkar was a Printer par excellence and a perfectionist. He used to tell me that he will only print if he agrees with the text. He does not simply print! So my Editorials used to get under Kanitkar’s lens. He used come up with several red lines and question marks and demand from me explanation on the views I wrote. These discussions used to happen on the mezzanine floor of the Vijay Mudran (where you had to sit down as the ceiling height was only 5 feet) and discussions (or fights!) used to end happily with a well-buttered omelet toast and a badly prepared coffee (with milk burned!). I recall late night or sometimes full night sessions at the Royal Industrial Estate to fix the Journal text and layout with Kanitkar. Many used to ask me why do I spend so much time to bring out the Journal. This was a job – unpaid. I used to say that besides the joy and professional satisfaction, editing of the Journal gives me a glimpse on what’s happening in research and practice in India, ahead of time and at least by a year. I realized that this was my edge and I was always up on the curve. Today, the JIWWA is run by Dr. Ulhas Naik. Ulhas has now put all the Journal issues on the website. This is a great work he has done with the help of Professor S V Ranade of Dynadeep Infotech Pvt. Ltd. You can now upload papers electronically and access all the past articles of the Journal. Attending Council of Management (COM) meetings used to be very interesting. It gave me a new perspective on the “water politics” and the insight to the personal rivalries. As IWWA was growing, there used to be “tensions” between the personalities and the Local Centers. I noticed at the COM that the “driving forces” were changing over time e.g. initial “mastery” by the BMC, then the “hijack” by Maharashtra Jeevan Pradhikaran (MJP) and then spurts of “oppositions” coming from “free radicals” of Bangalore and Delhi. Many times, I used to drop Mr. Bhise from the COM meetings to “Champak” – he used to have a great laugh in the car and say “Prasad, I never thought that the organization I founded will spend so much time on matters so petty and not address the real professional issues”. Well, this is the most commonly seen situation across associations today. In 2000, I organized an International Workshop on Private Sector Participation (PSP) in Water Infrastructure on behalf of the Mumbai Center of IWWA. This workshop was organized in Goa. It was an amazing experience for me. The Workshop was timely as PSP was on the rise in India (later ending with a glorious fall!) and stakeholders such as Central Government, Urban Local Bodies and Private Sector needed a platform for discussions. For the preparation of the workshop, I made several sorties to Goa with Mr R S Gaitonde (a “Raja” personality, truly a Goan soul and then Vice President of IWWA). Our stay at the hotel Mandovi was always memorable. I loved having a drink with him in the large ball room in Mandovi hotel, with waltz dance going on Saturday evenings and watching the ships in the river Mandovi. We used to meet Mr. Pratapsingh Rane, Hon. Chief Minister of Goa in the morning to get “all the blessings” we needed for the event. After I stepped down as the Hon Editor of JIWWA, I slowly drifted out of IWWA. I started attending the annual conventions only occasionally. The annual conventions are now in a new avatara. There are now large exhibitions (with all the noise and clutter), side visits (more as tours for the families) and the lunch/dinner galore. Technical sessions are crowded with no time to discuss. I am not much inspired now-a-days to attend the IWWA Conventions. I see more strangers than friends at the sessions. But isnt that quite natural and not a surprise. Many of us, old timers of IWWA, still meet and try to get together as regularly as possible. Most of the times, Park club near the sea beach in Shivaji Park is the place. We speak about the good old times of IWWA and drink beers. In 2007, I gave the Modak Memorial Lecture that was instituted in the memory of my late Uncle N V (Nanasaheb) Modak. In 2016, I was asked to deliver this lecture once again for the second time at the 48th Annual Convention. This was indeed a rare honor to receive. I delivered my talk in the morning of January 21 at CIDCO auditorium in Navi Mumbai. That very evening I suffered a massive heart attack. I just survived and miraculously so as I was moved in time to the Hinduja Hospital. After the angioplasty was done and I was sent home, I spoke to my colleagues at the IWWA. I said in a lighter vein that, if I had not survived, then IWWA would have had two Memorial lectures from 2017 (one for the Late uncle and another for the Late nephew!). Now that I have lost more than 10 kgs, and feeling really fit, I do hope to deliver Modak Memorial Lecture for the third time, may be in 2025! Wish me luck! God bless. ‘Blue, Green and Everything in Between’, Companion Edition to ‘Sixty Shades of Green’ Coming Soon! 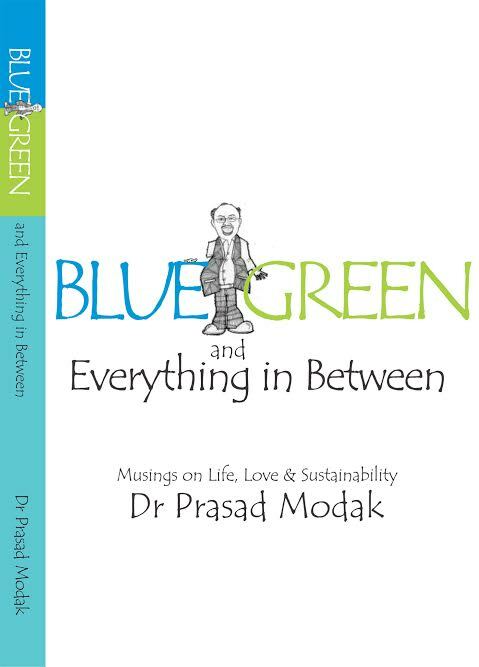 Enthused by your response to ‘Sixty Shades of Green: Musings on Sustainability‘, I am now bringing out it’s companion edition, ‘Blue, Green and Everything in Between: Musings on Life, Love and Sustainability’ which pulls together another 50 of my blog posts. Let us Work in Full Circle Very thought provoking article. You are at it once again. The level of satire used is at a different level altogether. I hope all personnel and organization’s mentioned find a way to read this. Professor’s Unique Beauty Saloon Great piece of writing. Delightful blend of fantasy science reality politics with your softly biting comments. Enjoyed thoroughly Prasad! !! BTW, a few hard copies of the first book “Sixty Shades of Green” are still available. Visit link to purchase. ‘Blue, Green and Everything in Between’ has a different sort of flavor – it brings together 50 of my choicest posts in which I have related anecdotes from my personal experience with people, places and life. However, just like ‘Sixty Shades of Green’, I have adopted a semi-fictional satirical style to narrate life and love through the lens of sustainability. As before, the book comes with rich and attractive illustrations but in a new format. Do you have any suggestion for improving the reader's experience. I was standing outside the Victoria Terminus (VT) Station of Mumbai at 9 am with Professor Hikeda of Tokyo University. Professor Hikeda was researching on the subject of “urban crowding”. A huge mass of human bodies was pouring out from the VT station. All bodies were walking briskly with not many “collisions” between them towards their destinations. Professor Hikeda was busy on his video recording the movement of bodies and speaking into his digital voice recorder taking his audio notes. “Reminds me of Tokyo – but the scale here is different”. He turned to me and said. When I returned home, I started thinking about the human body and consumption. “Oh to keep these human bodies alive and in “motion”, there must be hell of a consumption” I said to myself. Many of you know that every human produces an individual ecological footprint that is determined largely by the wealth and level of development in the country they live in. More developed countries have a larger footprint on average—but the choices we make in our daily lives about what to consume also makes a significant contribution. Driving a car, running clothes through a dryer, turning on the air conditioning—are the activities that add up to a larger footprint. If everyone in the world lived like the residents of the US, humanity’s annual demand on nature is estimated to be equal to a whopping four Earths per year. And then there are several countries that have very low footprints that are poor in economy. In fact they are yearning for more consumption as they are undernourished and energy poor. “Basic” amenities and services are not available to them. According to recent United Nations estimates, global population is increasing by approximately 80 million — the size of Germany — each year. Although birth rates have declined in most areas of the world, population growth continues to be fueled by high levels of fertility, particularly in Asia and Africa. Continued high birth rates in many developing regions, coupled with low fertility in more-developed regions, means that 80 percent of the global population now lives in less-developed nations. See the chart below taken from the United Nations Development Programme (dated 2006) that attempts to link human well-being with ecological foot print. The challenge of reducing our footprint is getting more complex every day. How do we decrease our resource use and at the same time create a future that provides food, water and energy for the 9 billion people that will share the planet in 2050? That’s the “sustainability equation” we are attempting to solve. “A recent forecast appeared in a November 2012 report by the Organization for Economic Cooperation and Development. The report is titled “Looking to 2060: Long-Term Global Growth Prospects”. “By 2060 Germany and Italy are expected to have dependency ratios above 55. The graph below shows estimates of “dependency ratios” of the Eurozone through 2060. 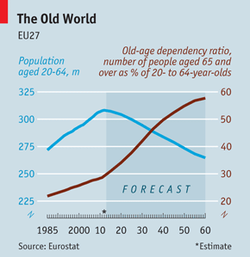 So people in Europe will get older much faster before they become rich and overconsume. In 2010, China had just a dependency ratio of 11.3 but it is estimated that it will be in the same range as the US and UK in 2045. So there the surge in consumption will fall with tapering economic growth. The pace of change in countries such as China will make planning and adjustment of global resources much more difficult. The report says that more rapid aging of the population in China will partly explain why India and Indonesia will overtake China’s economic growth rate in less than a decade. I started thinking about the human bodies, consumption that we need to do for living well and the birth and death cycles in the context of planets sustainability. Since the matter had to be dealt at the highest level, I called Lords Vishnu, Shiva and Brahma on Skype and they answered my call immediately. I saw that the Lords were working on a laptop along with Professor Jay Forester, father of System Dynamics and who used to teach at the MIT. They were busy adjusting the birth and death rates trying to tame Planets Population. I thought they were having fun like playing a mobile app game. Professor Forester said Hi. He was showing the Lords how to plug in various “loss functions” like cyclones, earthquakes etc. and was introducing new sub-systems like “Climate Change”. He said that Climate Change will significantly alter the birth and death rates as well as the status on resource availability – rather resource security. “This sub-system will require more modelling” he said. The Lords were thrilled to see such potential interventions and were wondering whether they could crack the difficult equation of sustainability using the tools and sub-systems. I was shocked with this crazy logic. The Lords and Professor Forester were stunned with my reverse logic. The three Lords were however not charmed with this idea. “Oh Dr Modak, your jugglery with bodies and souls is fine for a discussion but you do not understand the Ultimate Truth” said Lord Vishnu. With this, all the three Lords closed their lotus eyes in deep meditation. And there was a silence. The Skype call was disconnected.